Copying and syncing digital files is easy now—perhaps too easy. A mere $10 a month buys you identical copies of a digital song on every device and computer you own. Hundreds of millions of people possess billions of copies of songs and movies that are exactly the same, each 0 and 1 of the underlying binary duplicated precisely on hard drives across the world. The notes and annotations we make on our computers and iPhones now sync up, so that the note you “scribble” in the margin or the page corner you virtually turn down on one of your devices appears on the others. How far we’ve come from a world in which only identical twins were, well, identical. During the Middle Ages, which is the period I study and the era when Europe became a fully documented and documentary culture, copying blossomed. Some objects were created with precise duplication in mind—stamps and wax seals and patterns existed, of course. But for the most part, people during this time had no expectation that a table, a bed, a chair, a door, or items of clothing would be standardized. Pretty much everything in the medieval world was local and artisanal. Before the printing press, books simply weren’t the same—no two were identical, nothing synced, and everything was done by hand. Scribes tried to copy texts such as the Bible or legal documents accurately. Their mistakes tell us a lot about the kinds of mechanical errors our brains make during rote and repetitive tasks: Scribes skipped letters, words, and lines, lost their place, or simply misread what they were copying. More interesting are the creative solutions medieval scribes brought to bear when copying was secondary to their interest in reading or understanding a text. When it came to copying medieval history books, it was a different matter. Scribes copying these books in English or French often felt perfectly free to correct obvious errors. They didn’t stop there—scribes might add further details, local knowledge, or some original composition. One of the most popular books in medieval England was the Brut, which tells the story of England’s founding by the legendary Trojan Brutus. 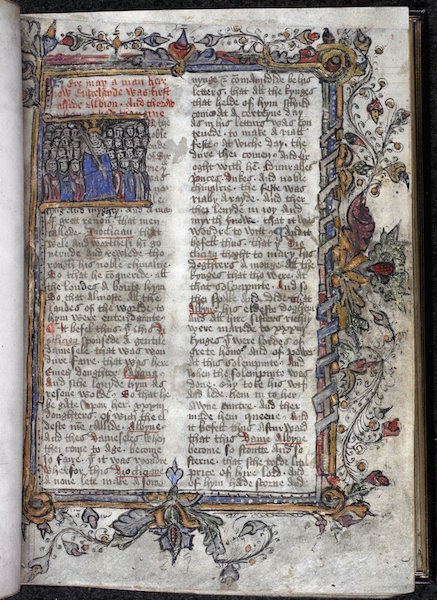 The Brut survives in almost 250 manuscripts (in French, Latin, and English); the sheer number of manuscripts attests to its status as a runaway medieval bestseller. (You can see the first folio of one manuscript of the Brut in the British Library. A rather more modest manuscript is at the Huntington Library.) Not only are no two manuscripts of the Brut identical, but the differences between them can be dramatic. Any given manuscript might have an extra line, paragraph, chapter, or two—or even an entirely different ending. Despite its popularity, the prose Brut is no one’s idea of great literature. In some ways, that made it easier to transform the text as it was being copied. There was no single author responsible for the text, and like a vigorously re-written Wikipedia page that lacks a single, authoritative voice, medieval scribes collectively shaped the Brut over centuries. Many scribes reached the end of their exemplars (the manuscript they were copying), only to discover the Brut ended much earlier than they would have liked, so they brought their copies up to date by composing additional summaries of 50 or 100 years of English history. unless you write them more truly after my making. and all because of your negligence and violence. Poetry can be powerful precisely because it can be elusive: It’s not clear if Langland’s narrator is disguising himself as a sheep or as a shepherd, both of which make sense (one rather more symbolically than the other). The scribes copying these lines were divided about how to resolve this ambiguity—at least 10 scribes wrote “shepherd” to make sense of things, though many more left Langland’s original “sheep” as they found it. Copying in the medieval world was a lot of work. Early medieval scribes occasionally added prayers when they reached the end of particularly long or onerous manuscripts, thanking God that their finger-cramping, eye-blearing, back-aching work in a cold monastery was finally complete. It is rare that we ever think of how the texts we read were physically (or digitally) created. The gap between maker and made in the medieval world was much narrower, and such prayers brought together scribe and reader in a shared relationship to the manuscript. By the 14th century in England, most books became commercially produced, rather than locked in the monasteries as in previous centuries. Literature in English and French flourished, and documents and books permeated every aspect of society. As part of this long shift from sacred to secular literacies, and as the number of books and documents multiplied, copying had necessarily gotten much faster. Cursive scripts were developed in the late 14th century, because time is money, and writing quickly became more important than writing beautifully. In the last 100 years, we have worked very hard to make copying less onerous. From carbon copy paper in the 19th century (the sometimes forgotten physical technology behind the “cc” field in our email), followed by the mimeograph machine, the photocopier, and the digital scanner, it has become ever easier to produce greater numbers of identical copies, whether physical or digital. Of course, technology is fallible. For evidence, look no further than Damn You Autocorrect—a site that collects “embarrassing, questionable, and hilarious” texts where the sender’s message has been dramatically altered by the autocorrect function. Or pick up your iPhone to ask Siri a complicated question and see how she responds. Errors will always abound, whether handwritten or digital. Though technology promises to save us from embarrassing slips of the pen, it may succeed only because almost nobody writes anything of length by hand anymore. 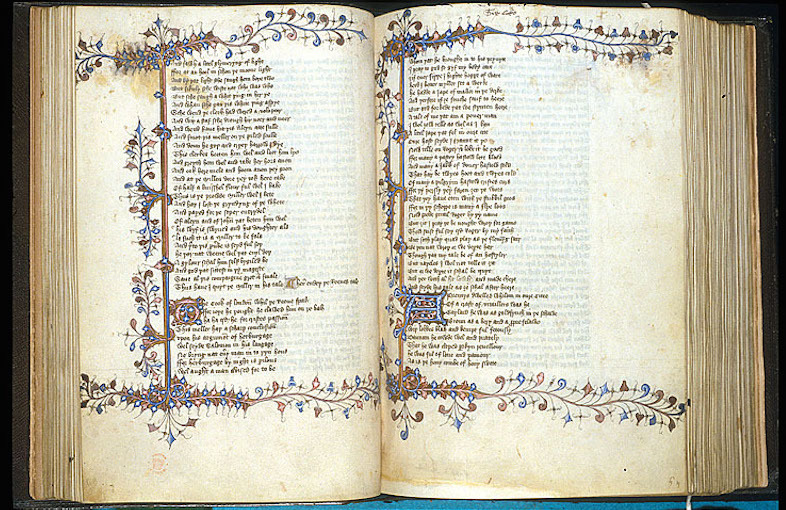 At the end of the Canterbury Tales, Chaucer wrote his “Retractions”—he “takes back” some of his more worldly poetry, and asks his audience for forgiveness. Anyone who has clicked “send” a little too quickly will recognize at least some part of Chaucer’s concern. Whether seriously or jokingly, Chaucer retracted “The Book of the 25 Ladies,” the poem now known as “The Legend of Good Women.” Somewhere, somehow, at least four scribes were confused, and Chaucer’s death made it impossible to ask him. Perhaps they couldn’t read their exemplars, or perhaps they had a copy of “The Legend of Good Women” that didn’t have that many stories in it. Four scribes changed that line to “The Book of the 19 Ladies,” and one reduced it to a mere 15 ladies. At least our phones and computers don’t change what we’ve written after we’ve sent it. 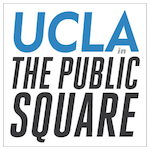 Matthew Fisher is an associate professor of English at UCLA. He is currently at work on a book about library fires. Primary editor: Becca MacLaren. Secondary editor: Jia-Rui Cook. *Photos courtesy of the British Library Catalogue of Illuminated Manuscripts.